Debbie Pushor, PhD, is a Professor in the Department of Curriculum Studies at the University of Saskatchewan in Canada. 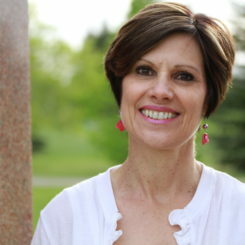 In her program of research, Debbie has engaged in narrative inquiries into ‘parent knowledge’ and into ‘parent engagement and leadership.’ In her undergraduate and graduate teaching, Debbie makes central an often absent or underrepresented conversation about the positioning of parents in relation to school landscapes. Debbie recently published a book (Sense Publishers, 2013), written with 14 graduate students, entitled Portals of Promise: Transforming Beliefs and Practices through a Curriculum of Parents. She has another book underway with a second cohort o graduate students, Living as Mapmakers: Honouring Parent Knowledge. She has worked in public education as a teacher, consultant, principal, and central services administrator. Debbie’s research on parent engagement includes inquiries into parent knowledge, a curriculum of parents, and a pedagogy of walking alongside.